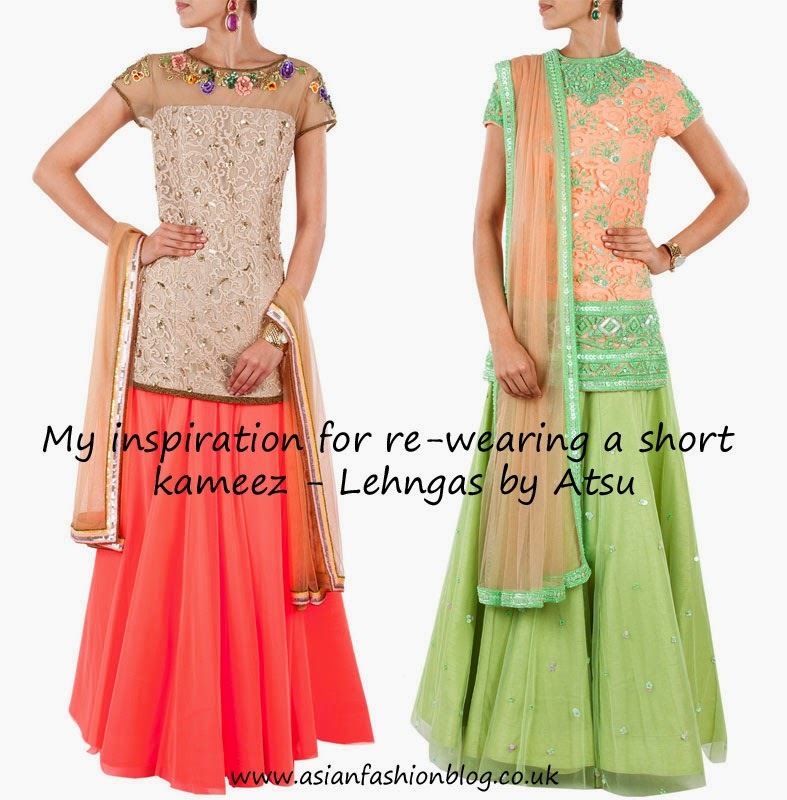 We took along our outfits and showed them the Atsu lehngas as inspiration. The embroidery on my sister's top was in gold with two shades of blue. We decided to focus on the turquoise shade of blue as the key colour the new lehnga. On the advice from the Vaneeza's team, we decided on chiffon as the fabric and to have a new dupatta made in the same shade as the lehnga. In order to match the colours exactly, we trusted them to keep hold of our kameezes. We paid a 50% deposit and a few weeks later, when our re-invented outfits were ready, we paid the remainder. 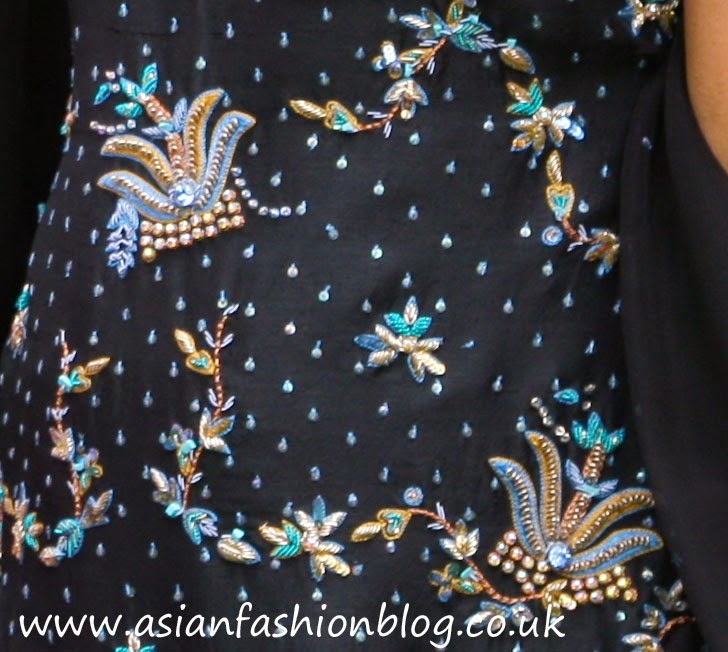 I think in total each new lehenga + dupatta came to around £75. The lehenga is lined and has a tiny border in a slightly darker shade. In terms of looks, we were really pleased with the colour match and the fit...however when it came to wearing this to an event, we started to regret the choice to have it made from chiffon - after just one wear, there were quite a few pulls in the fabric! 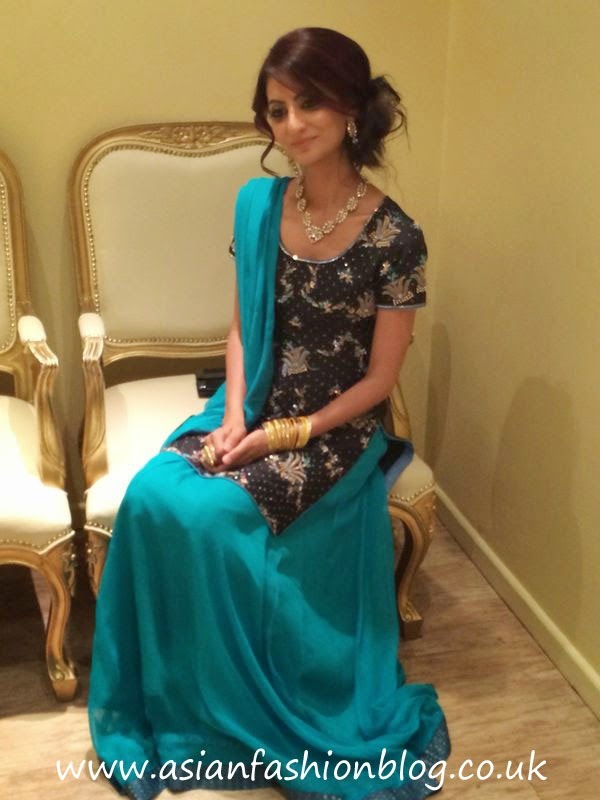 Here's how it looked when my sister wore it to a wedding. I think she looked amazing, I couldn't take my eyes off her all evening! 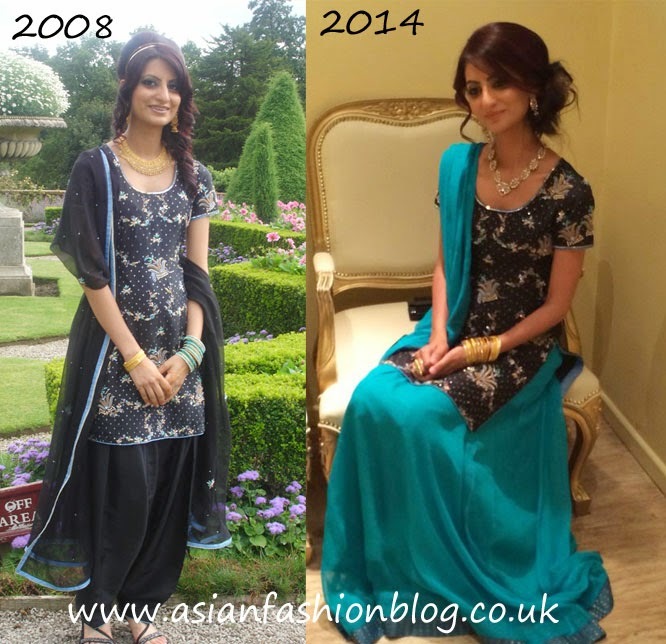 Here's the "before" and "after" for you again - two ways to wear a short kameez! For anyone interested, on both of these occassions she had her make-up done by Huda Ahmed. What do you think? Could we have found a better way to reinvent this outfit on a budget of £70? 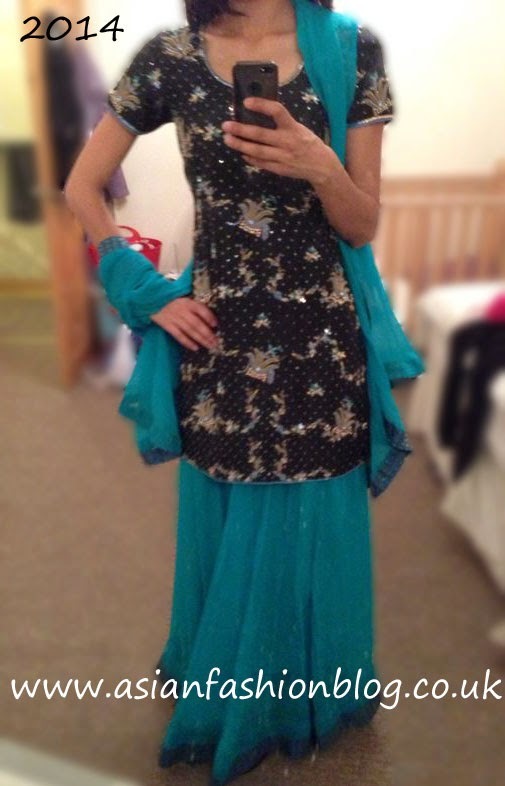 Let me know what you think below or tweet me @nazma_afb, and don't forget to look out for my upcoming blog posts on how my reinvented short kameez outfits turned out! Your sister looks lovely, I really like the shade of blue she picked! I've done this with a few of my short kameezes now, where I couldn't get a lengha skirt made, I've bought plain maxi skirts from English shops (which are cheaper!) and worn those instead. I haven't had much opportunity to wear them lately, but will defo be recyling my shorter kameezes for upcoming dholki and mehndi events!